Cuisine is the basis of every nations' hospitality. Having tasted the armenian dishes just once you will certainly like them, and, therefore, like Armenian culture and its centuries-old traditions. The menu of “Lernagorc” restaurant includes meat and fish hot dishes, fresh healthy vegetable and herb salads, delicious meat, vegetable or milky soups and a wide range of desserts. They are: Khashlama (meat with boiled eggplant, raisins, onion and greens), Jhengyalov Hats (vegetarian delicious fresh vegetable salad in a special flat bread) and Rose hip soup (soup made of rice and freshly cooked local Rose hip juice). Kapan is located at the northern base of Mount Khustup, in the Voghji River valley. The average annual temperature is 12.1 C, 1.6 C in January, 22.9 C in July. Maximum temperature: 38 C Minimum temperature: 15 C Average rainfall: 570 mm The River Voghji flows through the city, while the Vachagan and Kavart tributaries flow into the river. The name Kapan was first noted at the end of the 5th century. Kapan means gorge or canyon. The medieval city of Kapan was 14-15 km northwest of the present city. 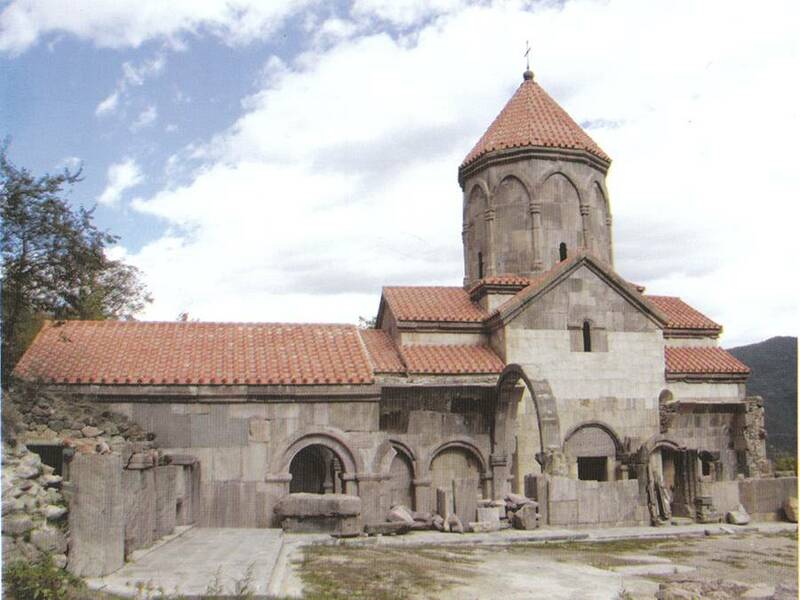 When the Syunik kingdom was founded in 987, Kapan became its centre. Armenians Jews were living here. 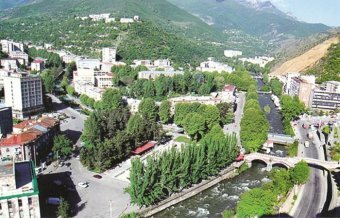 In the 18th century, Kapan became the centre of the liberation movement of Syunik. During 1722-30 the fortress of Halidzor, near Kapan, became the centre of David Bek’s liberation movement. 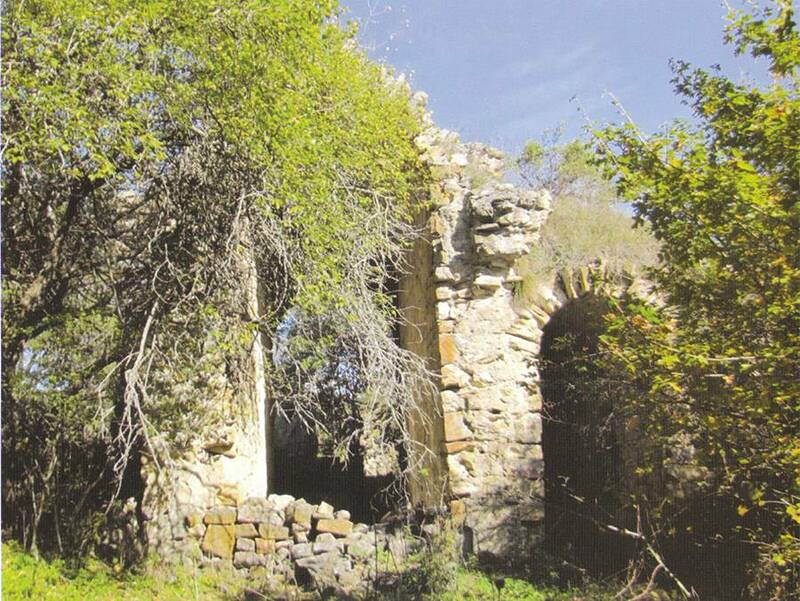 In the 19th century Kapan was under the region of the Russian Empire. In 1938 it was declared as a town. 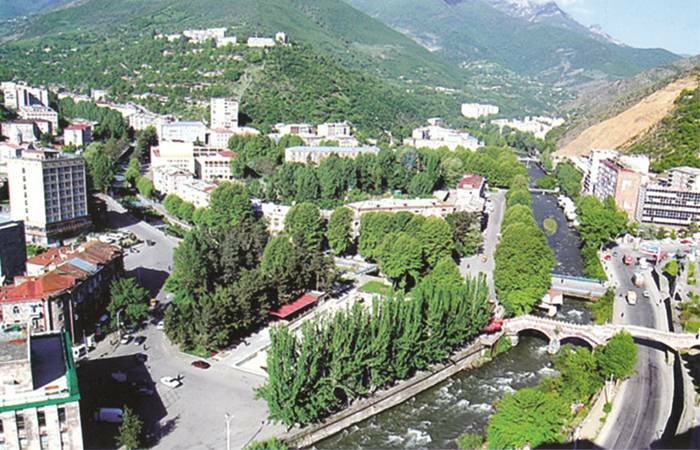 Since 1996 it is the Syunik region center. Mt. Khustup is located in Kapan, in southern Armenia. The height of Mt. Khustup is 3201 meters. (However, according to some sources it is 3212 meters). The Vachagan River begins at Mt. Khustup. Mt. Khustup is also a place of worship to the saints. The name Khustup is connected with the name of Garegin Nzhdeh and his struggle for Zangezur. Located 200 m south of Kapan, it was built from 1970-1990. 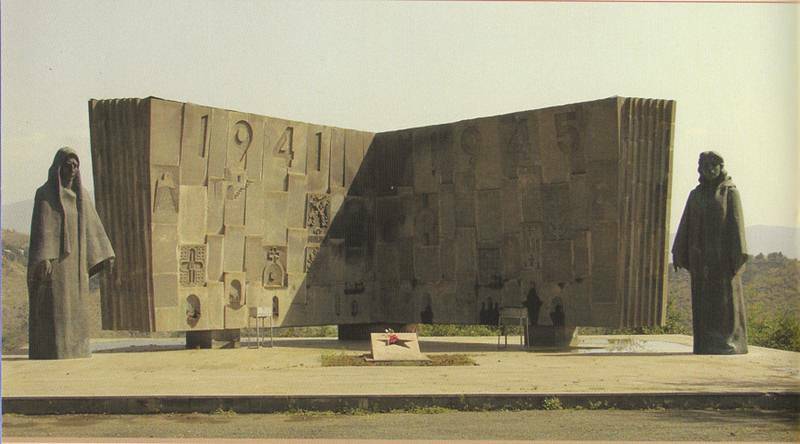 The first monument is dedicated to the Great Genocide and to the victims of Baku and Sumgait in 1988. The second monument is dedicated to the deceased of the Karabagh war. The third monument is a cross stone dedicated to an unknown soldier. The fourth monument is dedicated to the victims of WWII. On the wall, the 3050, designates the number who died. Baghaberd is located by the village Andokavan. It was the citadel of Kapan. The construction of the castle is connected with the name of Baghark prince from the Sisak generation. A number of scientists have expressed opinions that because prince Baghak lived B.C. 1850 hence, Baghaberd and therefore Kapan are 3850 years old. The castle had double walls. Tumbledown towers and pyramids 8 m high have been preserved. Holes with 7-8 cm diameter were carved out of the tower walls, which served as sight holes. Burning liquids were poured on the enemy forces from these as well. In 1103 after the destruction of Kapan city, Beghaberd became the capital of the Syunik kingdom. Here the wealth of all the monasteries and thousands of manuscripts were collected. Legend says that Baghaberd was connected by a rope with another castle in the rock rising on the right bank of the Voghchi River. There was a big door and by pulling the rope it closed the road passing through the gorge. “Shikahogh State Reserve” was founded in 1958 and is located in Shikahogh village of the Kapan area. The height from the sea level ranges from 700 m to 200 m. The reserve is one of the three places in the country which has yew trees, which come from the third century. It also has the only eastern beech grove of southern Armenia. In the Caucasus, the biggest eastern type of plane tree grove is in the “Plane Grove Reserve”. Currently there more than 1 000 plane trees that are 200-250 years old and their height is 30-35 m, the diameter of their trunks can reach to 3 m. 18 types of the Reserve flora are registered in the former Soviet Union Red Book. 37 types of insects from the 1 000 types identified in the Reserve can be found only there, 27 are rarely met. There are many reptiles, including 11 types of lizards, 13 types of snakes and 2 types of turtles. There are 135 types of birds. There are 37 types of mammals, from which the Caucasian leopard, Bezoar goat and brown bear are registered in the International Red List. The monastic complex of Vahanavanq was the Syuniq Province’s medieval religious center, educational and cultural hub, and the resting place of the clergy and ruling dynasty’s representatives. 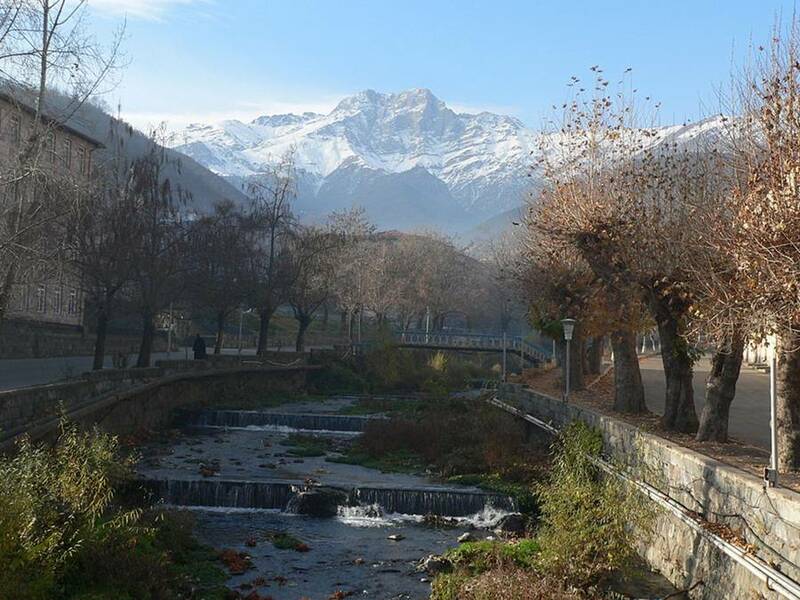 It is located to the south-west of Kapan city, on the right bank of the Voghji river, on the slope of Mount Tigranasar. Vahanavanq was founded in the beginning of the X century by the efforts of Vahan, who was the younger son of Syunik Province’s reigning Prince Dzagik. Adjacent to the church a religious school was opened. Yeritsvanq was one of the prominent churches as well. It is located to the east of Artsvanik village, on a high plateau. The church was founded by Syunyac Mitropolit Yeritsak in the V century. Yeritsvanq’s St. Nakhavka church is unique in its construction in the Armenian architecture.